Sony has taken the wraps off two new Android phablets aimed at emerging markets. 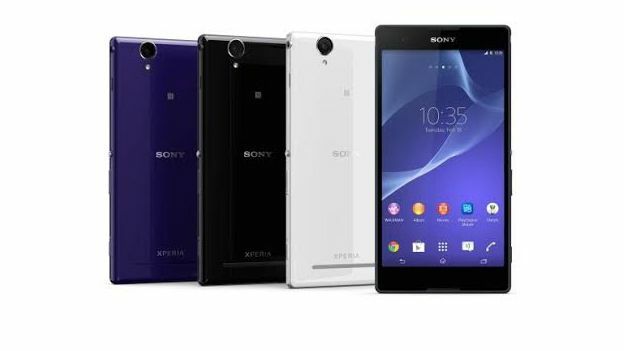 The Sony Xperia T2 Ultra and Xperia T2 Ultra Dual come with six-inch displays, but have a resolution of 720p. The handsets are aimed at rival devices from the likes of Huawei and Samsung. Sony has said that the two handsets will be focused on markets in China, the Middle East, Africa and Asia Pacific. It has not said whether they will make it to the UK and Europe. The company has not announced pricing yet either. The Sony Xperia T2 Ultra looks similar to the Xperia Z1, but lacks the waterproofing of its flagship range. However, it does have some improvements over the Xperia Z1 – the bezel for example is much thinner. Specs wise, it comes with a 1.4GHz quad-core Qualcomm Snapdragon chipset, 1GB of RAM and 8GB of internal storage. That can be expanded up to 32GB through microSD. In terms of the cameras, it comes with a 13-megapixel rear facing camera and a 1.1 megapixel front facing camera. Sony has claimed that the inclusion of an Exmor R sensor in the phone means it is the “best in class”. The Xperia T2 Ultra comes with a 3,000mAh battery, which should be enough to get it through a full day. The handset is also 7.6mm thick and weights 173g, which is impressive for a phablet. The T2 Ultra comes with support for 4G LTE and NFC. Unsurprisingly, the Xperia T2 Ultra Dual is pretty much the same phone as the Ultra, but comes with the addition of a second SIM card slot. “[The] Xperia T2 Ultra will lead the category through it combination of advanced display and camera technologies,” said Calum McDougall, director of Xperia marketing at Sony Mobile. "It will bring large-screen entertainment in an amazingly portable form factor, and it will do it whilst providing incredible value for money. “It's large HD display will deliver big-screen entertainment on the go, whilst the efficiency of the design will allow it to remain the world's most portable large screen smartphone,” he added. We'll bring you news as soon as Sony announces pricing and availability.